What do you look for when trying to find a new online casino? Its reputation or how many games they offer? Its banking methods or whether there is a live casino option or not? Each person is looking for something else in life the same way each gambler is looking for something different in an online casino. 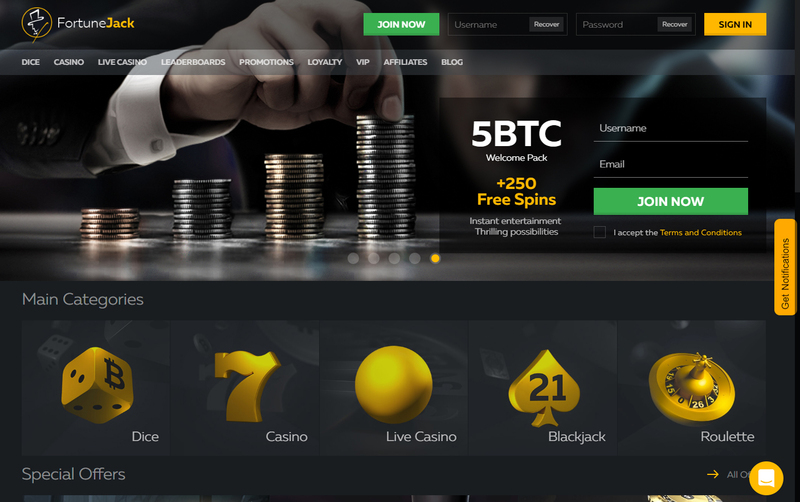 Today we are going to talk about a famous Bitcoin online casino and take a look at all of its elements. This is our FortuneJack review. Even though, nobody likes spoiler alerts, from all casinos that accept cryptocurrencies to play poker online, FortuneJack has the biggest variety! FortuneJack is owned by the Nexus Group which includes Nexus Group Enterprises LP and Nexus Group Enterprises N.V.
Not only are they licensed by the jurisdiction of Curacao but they provide provably fair games as well, the scripts of which you can see in their “Provably Fair” section, accessible through a link at the bottom of their website. They offer a wide selection of games divided into categories, which makes finding what you are looking for even more relaxed. Let’s take a closer look at their game library. From the top menu of the site, you will see that the available games they offer are divided into three categories: Games, Slot Games, and Dice. In this category, you will see the grand number of 895 different slot games. This includes many famous ones like Satoshi Secret, Fruit Zen, Greedy Goblins, and many more. These slots and much more come from top industry software providers such as ISoftBet, Endorphina, Betsoft, Tomhorn, Amatic, Playson, Pragmatic Play, Microgaming, Gameart, and Booming Games. There are also a ton of slots games with big active Jackpots going on continuously. In the first category called Lottery Games, you will find Bingo and Keno titles. The second category is called Live Games, and it is all about their live casino which is divided as well into three distinct ones based on software providers. You will find XPRO Gaming, BETGAMES TV, and EVOLUTION GAMING. On Evolution Gaming you will find Live Roulette, Live Blackjack, Live Baccarat, Live Texas Hold’em, Live Three Card Poker, and Live Caribbean Stud Poker. On XPRO Gaming you will find Live Roulette, Live Blackjack, Live Wheel of Fortune, Live Baccarat, Live Texas Hold’em, Live Sic-Bo, Live Dragon Tiger, and Live Caribbean Stud Poker. On BetGames TV you will find Lucky 7, Dice, Lucky 5, Bet on Poker, Bet on Baccarat, Wheel of Fortune, and War of Bets. The third category is called Video Games and is compiled of three different types of games played on chance and not in a live casino with real people as the dealers. On the Video Games category, you can find Fortune Slot, Fortune Wheel, and Blackjack. The fourth category is called Betting Games, and you can only find a single title, Binary Trader that is. The fifth and last category is called Other Games, and it included three options. These options are Poker, Dice, and Slot Games. That is all the different games you can find on their platform at the time of this writing. Next thing on our FortuneJack review is the promotions. When you first join FortuneJack, you will get a 110% welcome bonus up to 1BTC plus 250 free spins. To claim this bonus, you must have deposited a minimum amount of 0.01BTC on a maximum of seven days after registering on their site. This bonus comes with a 40x times playthrough requirement, and you have 14 days to wager with it. To get free spins, the deposited amount must be at least 0.05BTC. The free spins will be given to you only after your deposited amount has been wagered at least once in FortuneJack’s slot games. They are not given to you all at once. You will be given 25 per day for a total of 10 days. In addition to that, the free spins can be used only for a specific slot game/games. Apart from the first deposit bonus, there is also a second, third, and fourth one. 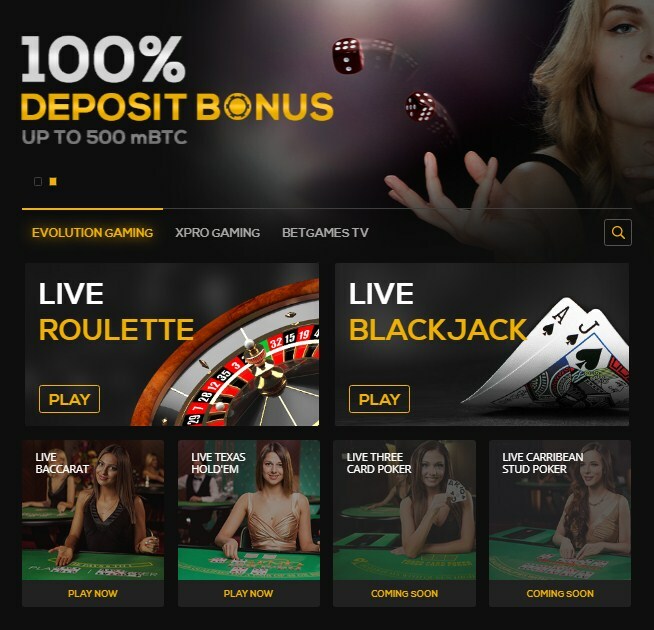 On your second and third deposit you will get 50% match bonus up to 1BTC each, and on the fourth deposit, you will receive a 100% match bonus up to 1.5BTC. All these bonuses have to meet the same 40x times play-through requirement just like the first deposit bonus does. Every Wednesday players who like betting on Dice will only need seven consecutive rolls to trigger the progressive jackpot. On all the other days of the week, eight consecutive rolls are needed to do that. Indeed, they feature an affiliate program as well. With personalised commission plans, you can win a lot of money by getting other people to join FortuneJack’s platform. Based on their statement, since the affiliate program has started, they had given out about 727 BTC to players. At the time of this writing, this is equal to about 5.16$ million. The good thing about FortuneJack is that they are a cryptocurrency-only online casino and that means that they have very small or even zero fees when depositing or withdrawing money. Apart from Bitcoin they also accept Ethereum, Litecoin, DASH, Dogecoin, Monero, and Zcash. Being a cryptocurrency-only online casino also means that the transaction times will be quick if not instant. In case someone wants to withdraw a significant amount of money then the transaction times can be a bit longer due to authorisation reasons. Even though the minimum deposit and withdrawal amount is one mBTC, the site doesn’t mention anything about a maximum withdrawal limit. What they do let us know, however, is that they have enough funds to pay out any number of winnings of their users every single day. Even though there isn’t a dedicated mobile app available at the time, FortuneJack’s website is entirely mobile-friendly and optimised for use via a smartphone or tablet. If you visit the website using such a device you are guaranteed to have a smooth and enjoyable gambling experience. When it comes to FortuneJack’s customer support service, a user may reach them by three different ways. You could either message them through the contact form, send an email to their customer service, or talk to them via the live chat. Note that their customer support service is online 24/7 which is a good thing to look for in an online casino. As we have already mentioned, FortuneJack is fully licensed by the gambling jurisdiction of Curacao. Although, what we didn’t previously tell you is that they take security very seriously as they have implemented the latest security measures to protect your profile details and funds. Usually, our reviews don’t include a segment like that, but because of FortuneJack, we had to fit that extra information somewhere. However, there have been multiple complaints all over the Internet regarding their Blackjack games being rigged. Most of the other reviews regarding the website, in general, are positive though. 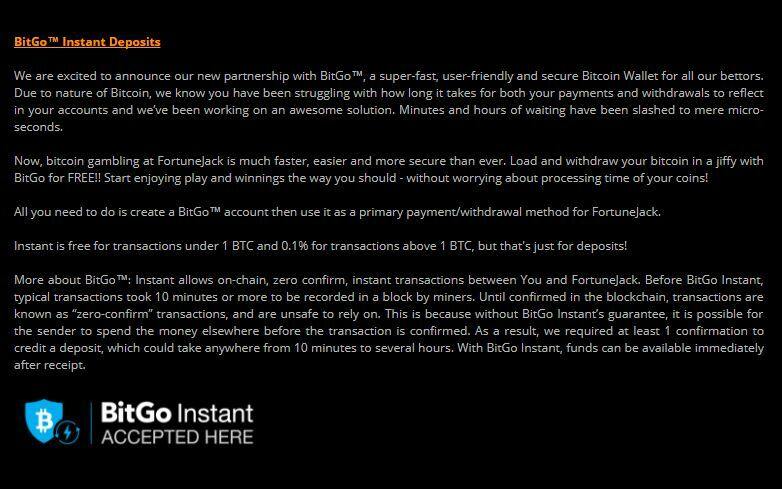 They are a silver member of the Bitcoin Foundation and accept BitGo Instant. Furthermore, they are verified and secured by the GoDaddy organisation, and they also promote responsible gambling. FortuneJack Review: Who Is This Casino For? FortuneJack has a wide range of games, both slots and table ones, so finding something you like regardless of your experience level should be pretty easy. Therefore, this online casino is both recommended to players new to the Bitcoin gambling world and professional ones as well. First of all, their game library is particularly big and filled with top-tier software providers’ titles thus we give them a 5/5 for their extensive game selection. Regarding their support, we would like to see a telephone number option, but at least they have 24/7 live chat. Therefore, we give Fortune Jack’s customer service a 4/5. Next up you have the banking options. Keep in mind that they only accept cryptocurrencies, but the number of those is exceptionally high. We give them 5/5 for accepting a broad range of cryptocurrencies. On the mobile front, they get a 4/5 because their mobile experience is impressive, but still, some games are not supported. Lastly, they have one of the best bonuses in the online cryptocurrency gambling industry, so it’s only fair we give them 5/5 for the bonuses FortuneJack offers. In total, FortuneJack’s overall rating is 4.6/5 which is excellent when it comes to online casinos! As our FortuneJack review has come to an end, we would like to let you know that we would recommend this casino for a smooth and enjoyable online gambling experience. Especially to those who want to play with currencies other than Bitcoin and Ethereum as they accept the majority of altcoins as well. You can create an account on FortuneJack or keep reading about out top Bitcoin casinos to find the perfect match!